Diali Keba Cissokho (vocals and kora) is a renowned kora player and percussionist from the Casamance region of Senegal. 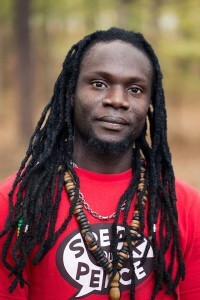 Diali moved to the United States after years of performing and teaching in Senegal and in Europe. Born into a rich ancestry of Manding griots (the musician caste), Diali has been playing traditional West African music for as long as he can remember. Diali’s greatest love is the kora, the 21-stringed African “harp-lute” that is at the heart and soul of much West African music, while he is also a passionate singer, percussionist and dancer. Crossing cultural boundaries with a wide range of sounds, he brings a unique personal style to this respected traditional art form. Diali finds joy in playing music from the heart as he shares his own love for life, music, and peace with each audience.